Tom Coburn and Joe Lieberman's bipartisan plan to cut Medicare is one of those notions whose every word ("Coburn," "Lieberman," "bipartisan," etc.) seems designed to provoke liberal antagonism. Talking Points Memo calls it "Ryan Plan 2.0." Joan McCarter and Greg Sargent are attacking it as well. I think they're making a mistake. First, it's just not accurate to conflate this proposal with Ryancare. Paul Ryan's Medicare plan has two huge problems. First, it privatizes Medicare, fragmenting the system into an inefficient private insurance market. Second, it provides grossly and increasingly inadequate subsidies for insurance within that system. Describing that proposal as "ending Medicare" is contestable but fair. The irony here is that comparing this to Ryancare plays into Ryan's intellectual sleight of hand. Ryan argues that Medicare as it's currently structured can't continue. The only alternatives are to do nothing and watch it disappear, impose draconian bureaucratic rationing, or try his proposal. The truth is that Medicare is in trouble, and the cost-saving measures in the Affordable Care Act are an important step toward controlling health care cost inflation but probably not enough to solve the problem on their own. Over the very long run we need to build on its cost-control devices. In the medium-run, we probably need to impose some straightforward cost saving. 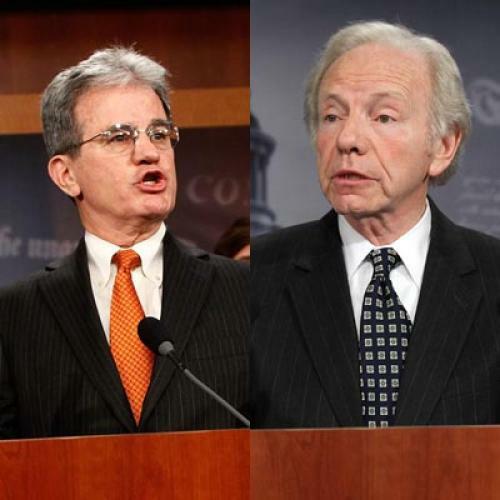 Coburn/Lieberman is a way to do that while preserving the traditional Medicare system. It's proof that Ryan is wrong. Conflating Ryan's radical plan with standard Medicare cuts is essentially to endorse his argument from the other direction. Ryan paints his proposal as merely a way to bring Medicare's financing into line, while the most ardent critics of Coburn/Lieberman paint a plan to bring Medicare's financing into line as Ryancare. It's not only wrong, it concedes Ryan's argument for him. Dems have successfully cast the battle over Medicare as one between those who would save the program and those who would destroy it — or at least transform it so fundamentally that it would cease to exist. As this ad shows, the GOP’s response is to muddy the waters by claiming that both sides agree Medicare needs to be cut and that the only difference is over the details — indeed, the GOP is now claiming that the Dem plan is more extreme than the Ryan plan. Cutting Medicare is now “extreme”; Dems have already proven themselves willing to take that step; Republicans won’t let Dems get away with it. The question now is whether Dems will take this sort of thing as a sign that they maintain an advantage on Medicare that would be badly undermined if they agree to any significant Medicare benefits cuts. If they do, it will only give Republicans more grist to keep attacking them from the left in exactly this fashion, and muddle the contrast between the parties on a popular entitlement program that has been a pillar of the Democratic Party’s identity for decades. I don't really understand this. As Sargent notes, Republicans are already attacking Democrats for cutting Medicare. The waters have been muddied, and Democrats are winning anyway. They're winning because there's a fundamental divide between trimming Medicare and ending Medicare. That will continue to exist even if both parties agree to Coburn/Lieberman. Now, it's true that a bipartisan deal on Medicare will help Republicans present the Ryan plan as just a conversation starter they don't really want to, you know, happen. But everybody still knows this is what Republicans would like to pass if they actually had the power to do so, and Democrats should be able to make this case to the voters. Meanwhile, the deficit is an actual problem, and Democrats need to find politically feasible ways to help solve it. There are bright lines to draw: slashing the already-lean Medicaid program, starving the long-starved domestic discretionary budget, and failing to require any sacrifice from the affluent. "No cuts to Social Security and Medicare" is the wrong place to draw the line.